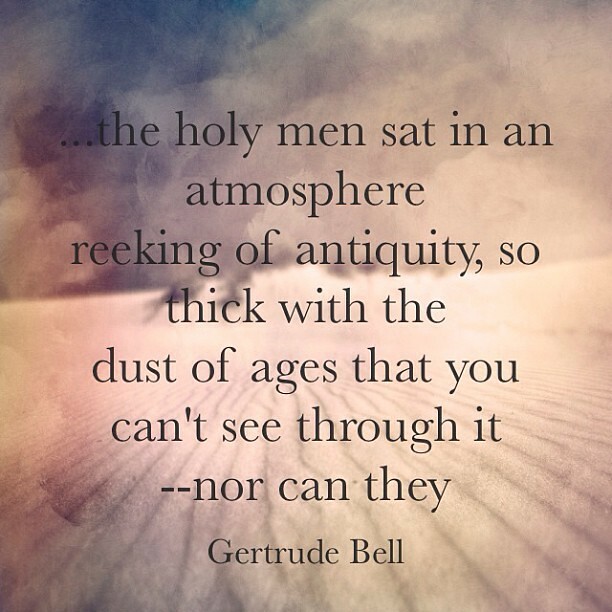 Gertrude Bell was an archaeologist, a linguist, traveller, and the greatest woman mountaineer of her age. She played a major role in establishing the modern state of Iraq. 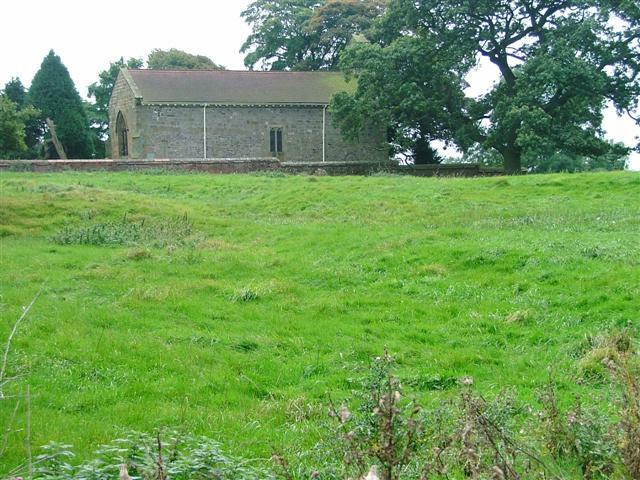 Links with North East England: Gertrude was born on 14th July 1868 in Washington New Hall, County Durham, the home of her grandfather, "ironmaster" Sir Isaac Lowthian Bell. 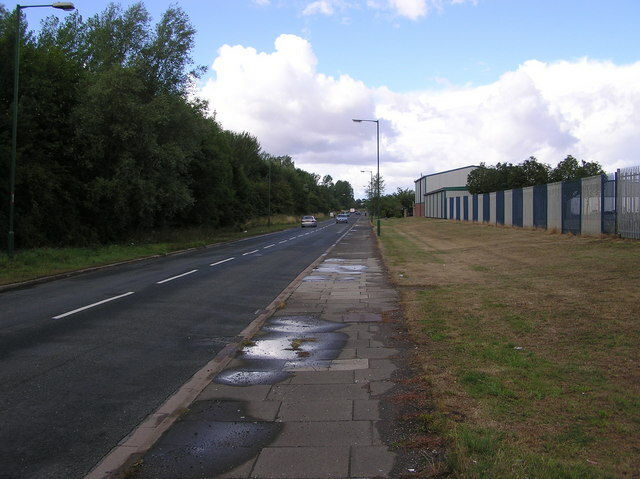 From age 2 she spent her childhood at Red Barns, in Redcar. Her father, Sir Hugh Bell, three times mayor of Middlesbrough was responsible for building the Transporter Bridge. Gertrude was influenced by her step-mother Florence and her work with the wives of Bolckow Vaughan ironworkers in Eston. Following education at Queen's College in London, Gertrude went on to become the first woman to graduate from Oxford University with First Class Honours in Modern History. Following a remarkable life, Gertrude died in Baghdad on 12th July, 1926. 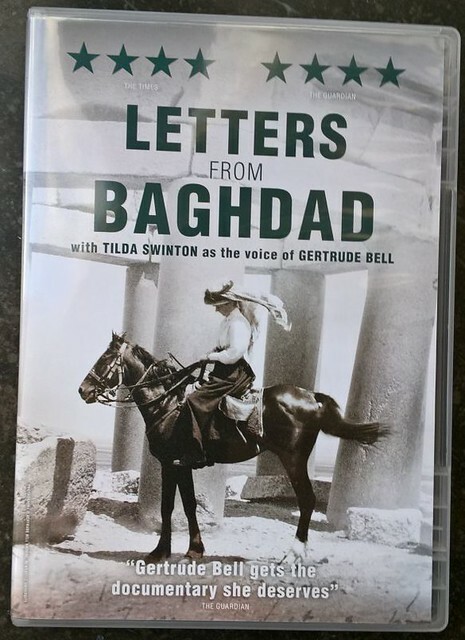 The Gertrude Bell Archive includes her books, papers, letters and photographs which were given to Newcastle University by Gertrude's half-sister, Lady Richmond. 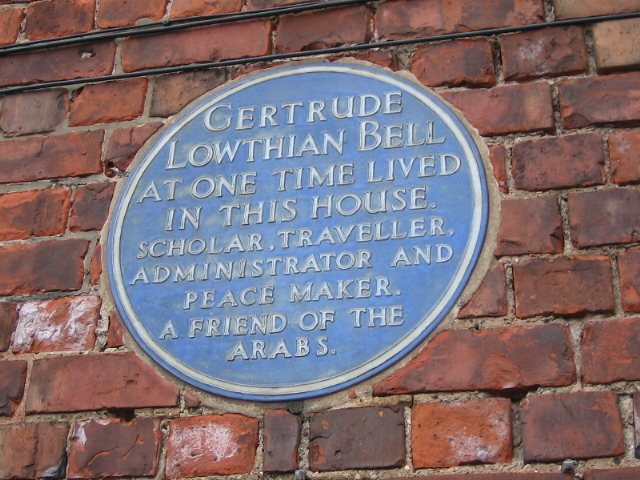 Gertrude Margaret Lowthian Bell, CBE (14 July 1868 – 12 July 1926) was an English writer, traveller, political officer, administrator, spy and archaeologist who explored, mapped, and became highly influential to British imperial policy-making due to her knowledge and contacts, built up through extensive travels in Greater Syria, Mesopotamia, Asia Minor, and Arabia. 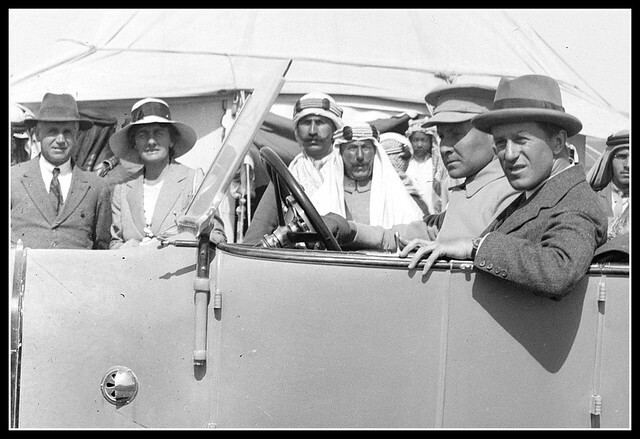 Along with T. E. Lawrence, Bell helped establish the Hashemite dynasties in what is today Jordan as well as in Iraq. She played a major role in establishing and helping administer the modern state of Iraq, utilising her unique perspective from her travels and relations with tribal leaders throughout the Middle East. During her lifetime she was highly esteemed and trusted by British officials and given an immense amount of power for a woman at the time. She has been described as "one of the few representatives of His Majesty's Government remembered by the Arabs with anything resembling affection". Bell was born on 14 July 1868 in Washington New Hall, County Durham, England – now known as Dame Margaret Hall – to a family whose wealth enabled her travels. She is described as having "reddish hair and piercing blue-green eyes, with her mother's bow shaped lips and rounded chin, her father’s oval face and pointed nose". Her personality was characterised by energy, intellect, and a thirst for adventure which shaped her path in life. Her grandfather was the ironmaster Sir Isaac Lowthian Bell, an industrialist and a Liberal Member of Parliament, in Benjamin Disraeli's second term. His role in British policy-making exposed Gertrude at a young age to international matters and most likely encouraged her curiosity for the world, and her later involvement in international politics. Bell's mother, Mary Shield Bell, died in 1871 while giving birth to a son, Maurice (later the 3rd Baronet). 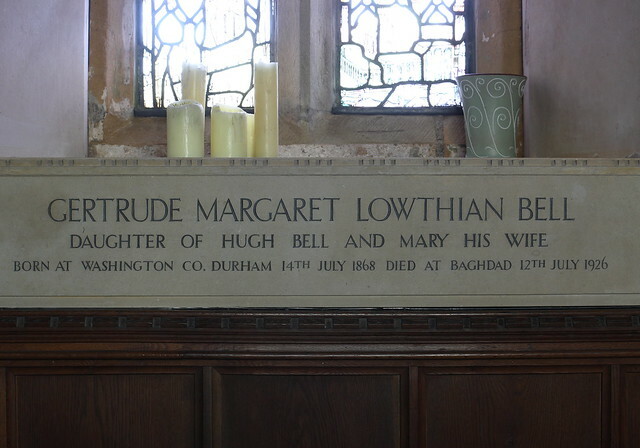 Gertrude Bell was just three at the time, and the death led to a lifelong close relationship with her father, Sir Hugh Bell, 2nd Baronet, who was three times mayor of Middlesbrough (1874, 1883 and 1911), High Sheriff of Durham (1895), Justice of the Peace, Deputy Lieutenant of County Durham and Lord Lieutenant of the North Riding of Yorkshire. Throughout her life she consulted with him on political matters. Some biographies say the loss of her mother had caused underlying childhood trauma, revealed through periods of depression and risky behaviour. At the age of seven Bell acquired a stepmother, Florence Bell, and eventually, three half-siblings. 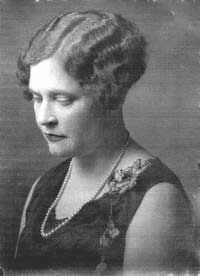 Florence Bell was a playwright and author of children's stories, as well as the author of a study of Bell factory workers. She instilled concepts of duty and decorum in Gertrude and contributed to her intellectual development. 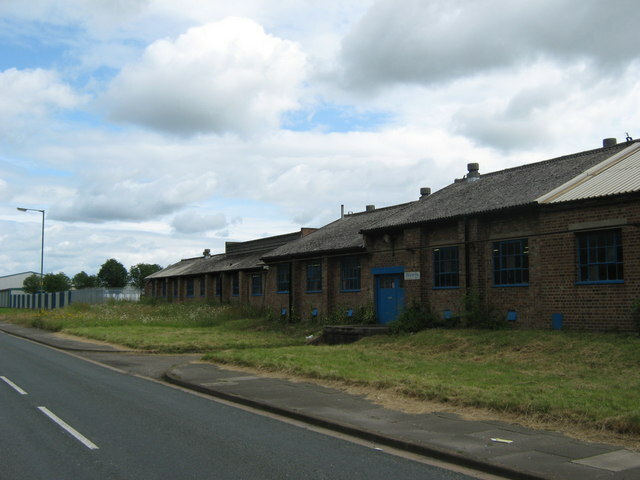 Florence Bell's activities with the wives of Bolckow Vaughan ironworkers in Eston, near Middlesbrough, may have helped influence her step-daughter's later stance promoting education of Iraqi women. 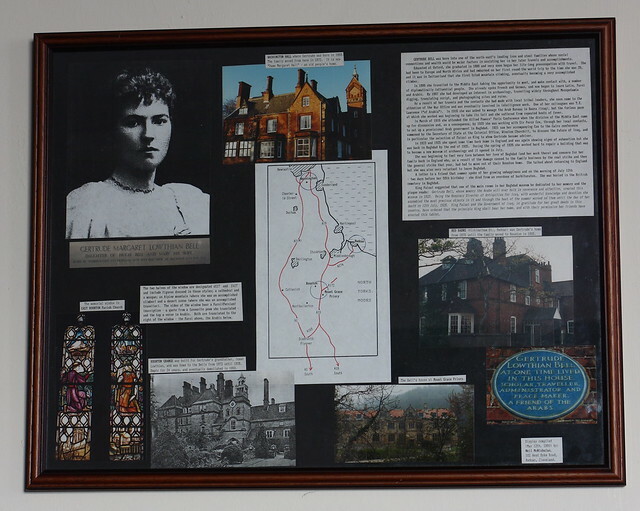 Gertrude Bell received her early education from Queen's College in London and then later at Lady Margaret Hall, Oxford University, at the age of 17. 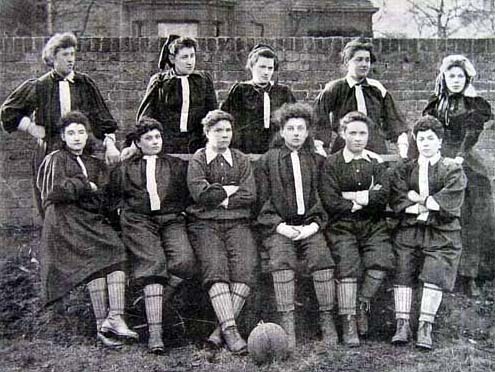 History was one of the few subjects women were allowed to study, due to the many restrictions imposed on them at the time. She specialised in modern history, in which she received a first class honours degree in two years. Bell never married or had children. She had an unconsummated affair with Maj. Charles Doughty-Wylie, a married man, with whom she exchanged love letters from 1913 to 1915. After his death in 1915 during the Battle of Gallipoli, Bell launched herself into her work. Bell's uncle, Sir Frank Lascelles, was British minister (similar to ambassador) at Tehran, Persia. In May 1892, after leaving Oxford, Bell travelled to Persia to visit him. She described this journey in her book, Persian Pictures, which was published in 1894. She spent much of the next decade travelling around the world, mountaineering in Switzerland, and developing a passion for archaeology and languages. She had become fluent in Arabic, Persian, French and German as well as also speaking Italian and Turkish. In 1899, Bell again went to the Middle East. 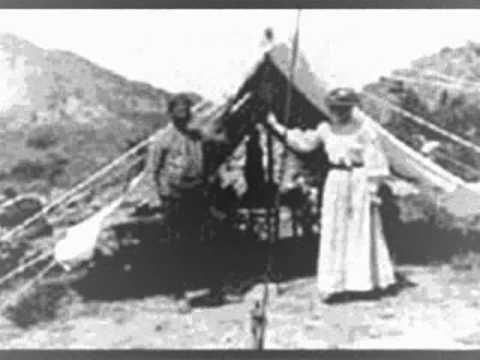 She visited Palestine and Syria that year and in 1900, on a trip from Jerusalem to Damascus, she became acquainted with the Druze living in Jabal al-Druze. She travelled across Arabia six times over the next 12 years. Between 1899 and 1904, she conquered a number of mountains including the La Meije and Mont Blanc as she recorded 10 new paths or first ascents in the Bernese Alps. 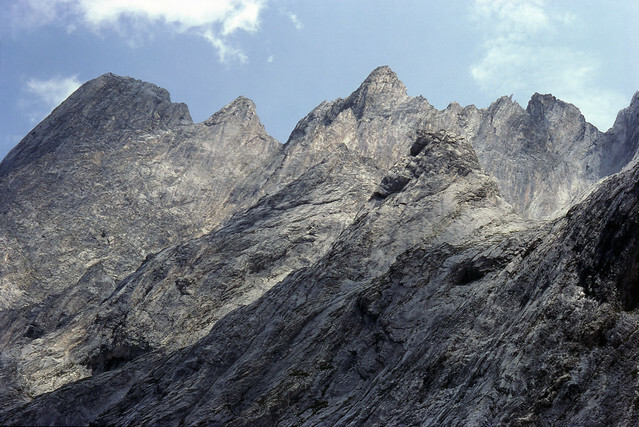 One Alpine peak in the Bernese Oberland, the Gertrudspitze, was named after her after it was first traversed by her and her guides Ulrich and Heinrich Fuhrer in 1901. However, she did fail in an attempt of the Finsteraarhorn in August 1902 when inclement weather including snow, hail and lightning forced her to spend "forty eight hours on the rope" with her guides, clinging to the rock face in terrifying conditions which nearly cost her her life. 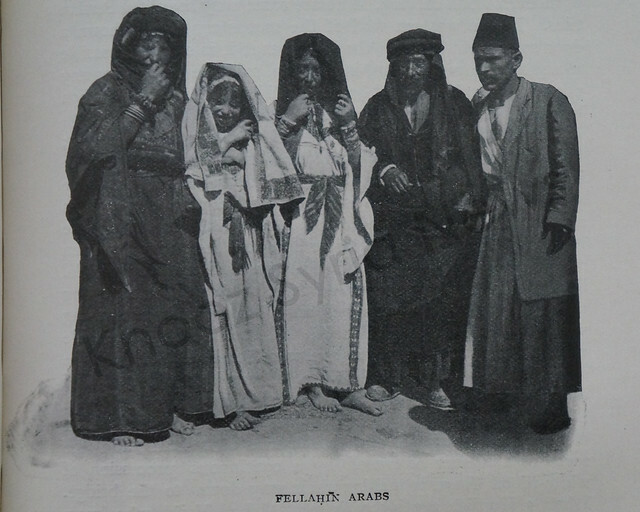 She published her observations in the book Syria: The Desert and the Sown published in 1907 (William Heinemann Ltd, London). In this book she described, photographed and detailed her trip to Greater Syria's towns and cities like Damascus, Jerusalem, Beirut, Antioch and Alexandretta. Bell's vivid descriptions opened up the Arabian deserts to the western world. In March 1907, Bell journeyed to the Ottoman Empire and began to work with the archaeologist and New Testament scholar Sir William M. Ramsey. 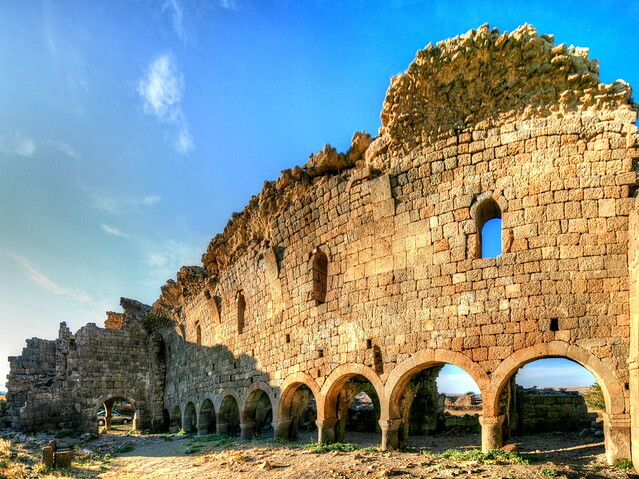 Their excavations in Binbirkilise were chronicled in A Thousand and One Churches. In 1907, they discovered a field of ruins in northern Syria on the east bank of the upper course of the Euphrates to the steep slope of the former river valley. 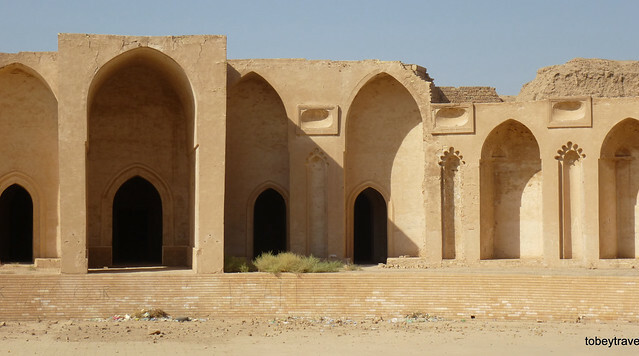 From the ruins, they created a plan and described the ramparts: "Munbayah, where my tents were pitched – the Arabic name means only a high-altitude course – was probably the Bersiba in Ptolemy's list of city names. It consists of a double rampart, situated on the river bank "
In January 1909, she left for Mesopotamia. She visited the Hittite city of Carchemish, mapped and described the ruin of Ukhaidir and finally went to Babylon and Najaf. Back in Carchemish, she consulted with the two archaeologists on site. One of them was T. E. Lawrence. Her 1913 Arabian journey was generally difficult. She was the second foreign woman after Lady Anne Blunt to visit Ha'il. In 1927, a year after her death, her stepmother Dame Florence Bell published two volumes of Bell's collected correspondence written during the 20 years preceding World War I. At the outbreak of World War I, Bell's request for a Middle East posting was initially denied. She instead volunteered with the Red Cross in France. Later, she was asked by British Intelligence to get soldiers through the deserts, and from the World War I period until her death she was the only woman holding political power and influence in shaping British imperial policy in the Middle East. She often acquired a team of locals which she directed and led on her expeditions. Throughout her travels Bell established close relations with tribe members across the Middle East. Additionally, being a woman gave her exclusive access to the chambers of wives of tribe leaders, giving her access to other perspectives and functions. In November 1915, however she was summoned to Cairo to the nascent Arab Bureau, headed by General Gilbert Clayton. 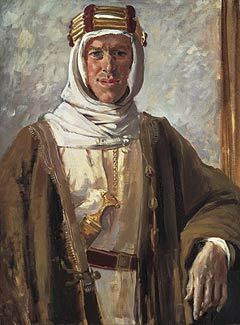 She also again met T. E. Lawrence. Like Lawrence, Bell had attended Oxford (where Lawrence was born) and earned First Class Honours in Modern History. Bell spoke Arabic, Persian, French and German. 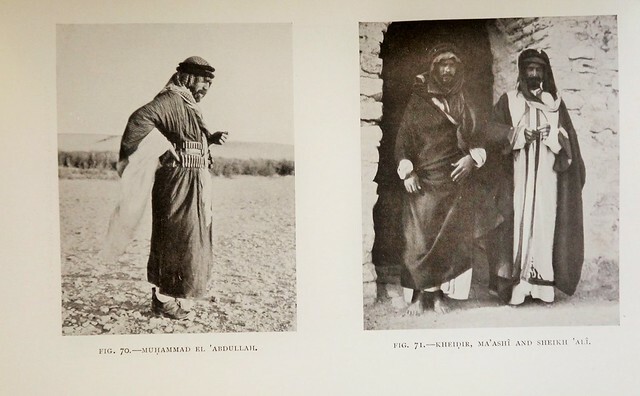 She was an archaeologist, traveller and photographer in the Middle East before World War I. Upon the recommendation of renowned archaeologist and historian Lt. Cmdr. David Hogarth, first Lawrence, then Bell, were assigned to Army Intelligence Headquarters in Cairo in 1915 for war service. 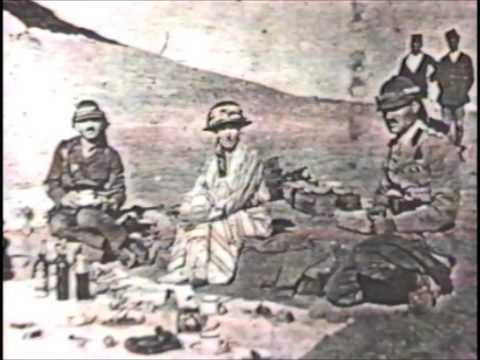 Because both Bell and Lawrence had travelled the desert and established ties with the local tribes and gained unique perspectives of the people and the land before World War I, Hogarth realised the value of Lawrence and Bell's expertise. Both Bell and Lawrence stood hardly 5'5", yet both could ride with great determination and endurance through the desert for hours on end. Arriving in February 1916, she did not, at first, receive an official position, but instead helped Hogarth set about organising and processing her own, Lawrence's and Capt. W. H. I. Shakespear's data about the location and disposition of Arab tribes that could be encouraged to join the British against the Ottoman Empire. 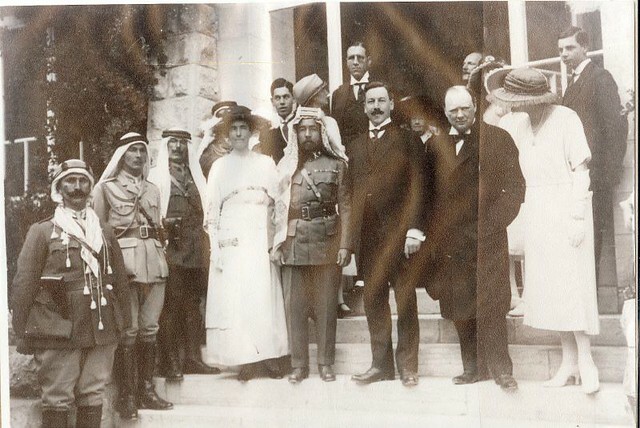 Lawrence and the British used the information in forming alliances with the Arabs. On 3 March 1916, Gen. Clayton abruptly sent Bell to Basra, which British forces had captured in November 1914, to advise Chief Political Officer Percy Cox regarding an area she knew better than any other Westerner. Cox found her an office in his headquarters, where she was employed for the two days per week she was not at Military GHQ Basra. She drew maps to help the British army reach Baghdad safely. She became the only female political officer in the British forces and received the title of "Liaison Officer, Correspondent to Cairo" (i.e. to the Arab Bureau where she had been assigned). She was St. John Philby's field controller, and taught him the finer arts of behind-the-scenes political manoeuvering. After British troops took Baghdad on 10 March 1917, Bell was summoned by Cox to Baghdad and given the title of "Oriental Secretary." 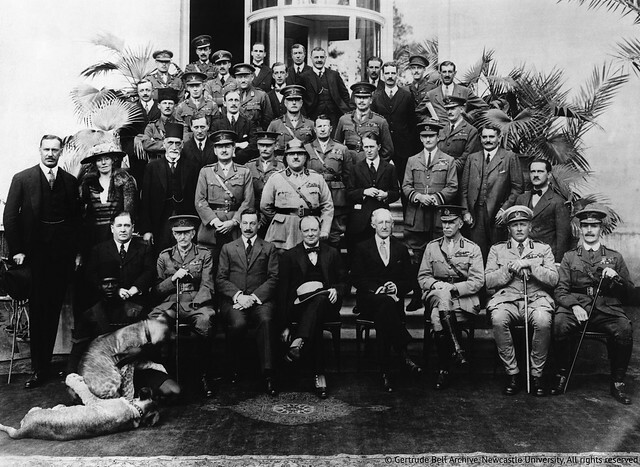 She, Cox and Lawrence were among a select group of "Orientalists" convened by Winston Churchill to attend a 1921 Conference in Cairo to determine the boundaries of the British mandate (e.g, "the British Partitions") and nascent states such as Iraq. Gertrude is supposed to have described Lawrence as being able "to ignite fires in cold rooms". Throughout the conference, she, Cox and Lawrence worked tirelessly to promote the establishment of the countries of Transjordan and Iraq to be presided over by the Kings Abdullah and Faisal, sons of the instigator of the Arab Revolt against the Ottoman Empire (ca. 1915–1916), Hussein bin Ali, Sharif and Emir of Mecca. Until her death in Baghdad, she served in the Iraq British High Commission advisory group there. Referred to by Persians as "al-Khatun" (a Lady of the Court who keeps an open eye and ear for the benefit of the State), she was a confidante of King Faisal of Iraq and helped ease his passage into the role, amongst Iraq's other tribal leaders at the start of his reign. He helped her to found Baghdad's great Iraqi Archaeological Museum from her own modest artefact collection and to establish The British School of Archaeology, Iraq, for the endowment of excavation projects from proceeds in her will. The stress of authoring a prodigious output of books, correspondence, intelligence reports, reference works, and white papers; of recurring bronchitis attacks brought on by years of heavy smoking in the company of English and Arab cohorts; of bouts with malaria; and finally, of coping with Baghdad's summer heat all took a toll on her health. Somewhat frail to start with, she became nearly emaciated. Some consider the present troubles in Iraq are derived from the political boundaries Bell conceived, to create its borders. Perhaps so, but her reports indicate that problems were foreseen, and that it was clearly understood that there were just not many (if any) permanent solutions for calming the divisive forces at work in that part of the world. On 11 October 1920, Percy Cox returned to Baghdad and asked her to continue as Oriental Secretary, acting as liaison with the forthcoming Arab government. 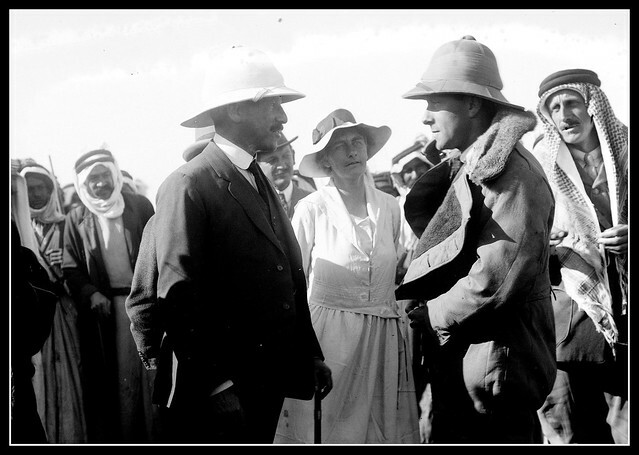 Gertrude Bell essentially played the role of mediator between the Arab government and British officials. Bell often had to mediate between the various groups of Iraq including a majority population of Shias in the southern region, Sunnis in central Iraq, and the Kurds, mostly in the northern region, who wished to be autonomous. Keeping these groups united was essential for political balance in Iraq and for British imperial interests. Iraq not only contained valuable resources in oil but would act as a buffer zone, with the help of Kurds in the north as a standing army in the region to protect against Turkey, Persia (Iran), and Syria. 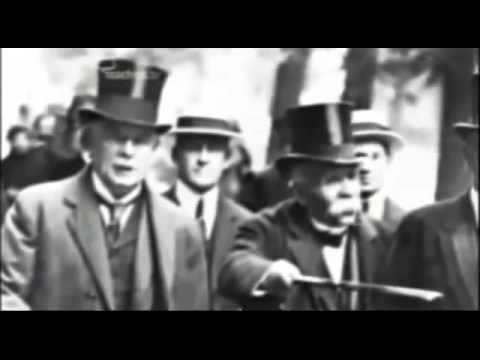 British officials in London, especially Churchill, were highly concerned about cutting heavy costs in the colonies, including the cost of quashing tribal infighting. Another important project for both the British and new Iraqi rulers was creating a new identity for these people so that they would identify themselves as one nation. British officials quickly realised that their strategies in governing were adding to costs. Iraq would be cheaper as a self-governing state. The Cairo Conference of 1921 was held to determine the political and geographic structure of what later became Iraq and the modern Middle East. 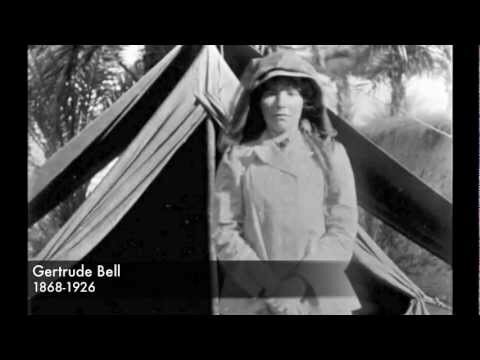 Significant input was given by Gertrude Bell in these discussions thus she was an essential part of its creation. 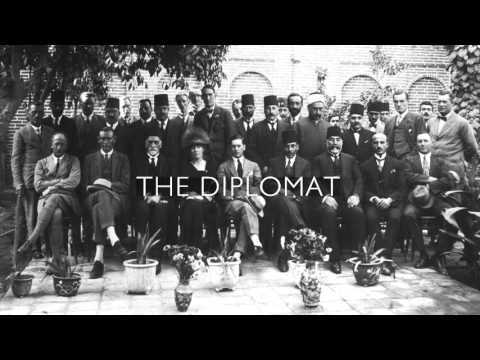 At the Cairo Conference Bell and Lawrence highly recommended Faisal bin Hussein, (the son of Hussein, Sherif of Mecca), former commander of the Arab forces that helped the British during the war and entered Damascus at the culmination of the Arab Revolt. He had been recently deposed by France as King of Syria, and British officials at the Cairo Conference decided to make him the first king of Iraq. They believed that due to his lineage as a Hashemite and his diplomatic skills he would be respected and have the ability to unite the various groups in the country. Shias would respect him because of his lineage from Muhammad. Sunnis, including Kurds, would follow him because he was Sunni from a respected family. Keeping all the groups under control in Iraq was essential to balance the political and economic interests of the British Empire. Upon Faisal's arrival in 1921, Bell advised him in local questions, including matters involving tribal geography and local business. She also supervised the selection of appointees for cabinet and other leadership posts in the new government. Throughout the early 1920s Bell was an integral part of the administration of Iraq. The new Hashemite monarchy used the Sharifian flag, which consisted of a black stripe representing the Abbasid caliphate, white stripe representing the Umayyad caliphate, and a green stripe for Fatimid Dynasty, and lastly a red triangle to set across the three bands symbolising Islam. Bell felt it essential to customise it for Iraq by adding a gold star to the design. Faisal was crowned king of Iraq on 23 August 1921, but he was not completely welcomed. Utilizing Shi'ite history to gain support for Faisal, during the holy month of Muharram, Bell compared Faisal's arrival in Baghdad to Husayn, grandson of Muhammad. However, she did not find working with the new king to be easy: "You may rely upon one thing — I'll never engage in creating kings again; it's too great a strain." In November 1919, Bell was an invited speaker at a meeting for the promotion of a public library in Baghdad, and subsequently served on its Library Committee, as President from 1921 to 1924. The Baghdad Peace Library (Maktabat al-Salam) was a private, subscription library, but in c.1924 was taken over by the Ministry of Education and became known as the Baghdad Public Library (or sometimes as the General Library). In 1961, this became the National Library of Iraq. 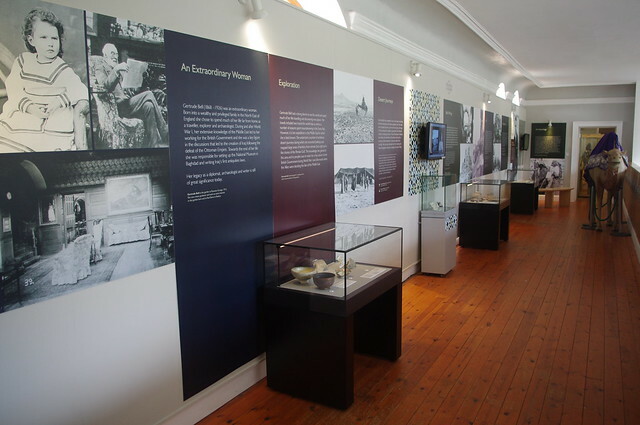 Gertrude Bell's first love had always been archaeology, thus she began forming what became the Baghdad Archaeological Museum, later renamed the Iraqi Museum. Her goal was to preserve Iraqi culture and history which included the important relics of Mesopotamian civilisations, and keep them in their country of origin. She also supervised excavations and examined finds and artefacts. She brought in extensive collections, such as from the Babylonian Empire. The museum was officially opened in June 1926, shortly before Bell's death. After her death, at the Emir's suggestion, the right wing of the Museum was named as a memorial to her. Bell briefly returned to Britain in 1925, and found herself facing family problems and ill health. Her family's fortune had begun to decline due to the onset of post-World War I worker strikes in Britain and economic depression in Europe. She returned to Baghdad and soon developed pleurisy. When she recovered, she heard that her younger brother Maurice had died of typhoid. On 12 July 1926, Bell was discovered dead, of an apparent overdose of sleeping pills. There is much debate on her death, but it is unknown whether the overdose was an intentional suicide or accidental since she had asked her maid to wake her. She was buried at the British cemetery in Baghdad's Bab al-Sharji district. Her funeral was a major event, attended by large numbers of people including her colleagues, British officials and the King of Iraq. It was said King Faisal watched the procession from his private balcony as they carried her coffin to the cemetery. No woman in recent time has combined her qualities – her taste for arduous and dangerous adventure with her scientific interest and knowledge, her competence in archaeology and art, her distinguished literary gift, her sympathy for all sorts and condition of men, her political insight and appreciation of human values, her masculine vigour, hard common sense and practical efficiency – all tempered by feminine charm and a most romantic spirit.H.D.G. "Obituary: Gertrude Lowthian Bell", The Geographical Journal 68.4 (1926): 363–368. JSTOR. Web. 28 October 2009. .
Stewart notes that Bell was "both more lively and more honest" than political statements in his time. He quotes six examples of her writing, the shortest of which is "No one knows exactly what they do want, least of all themselves, except that they don’t want us." He quotes Bell's colleague, T. E. Lawrence (of Arabia), as saying that she was "not a good judge of men or situations", and observes that "If there was no ideal solution, however, there were still clear mistakes. Bell should never have acquiesced in the inclusion of the Kurdish-dominated province of Mosul in Iraq." However, Stewart praises her 1920 White Paper, comparing it to General Petraeus's report to the US Congress. In 2015, Werner Herzog released the film he had written and directed about Bell, Queen of the Desert. The film chronicled Bell's life and she was portrayed by Nicole Kidman. Gertrude Bell's work was specially mentioned in the British Parliament, and she was awarded the Order of the British Empire. Text from Wikipedia, available under the Creative Commons Attribution-ShareAlike License (accessed: 29/03/2016). 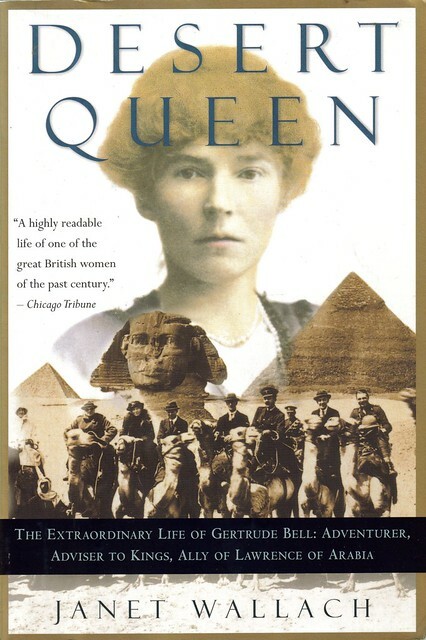 Visit the page: Gertrude Bell for references and further details. You can contribute to this article on Wikipedia. 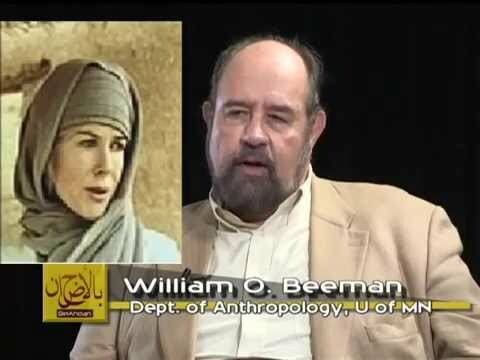 Professor Williams Beeman, Who is Gertrude Bell? Founder of Modern Iraq or a spy? 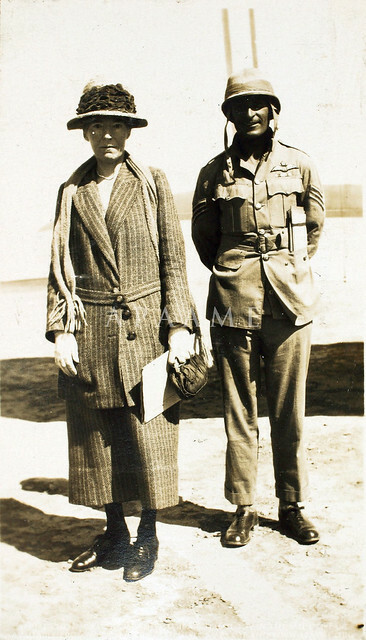 - Photo of British author and archeologist Gertrude Bell, in Babylon, Iraq. 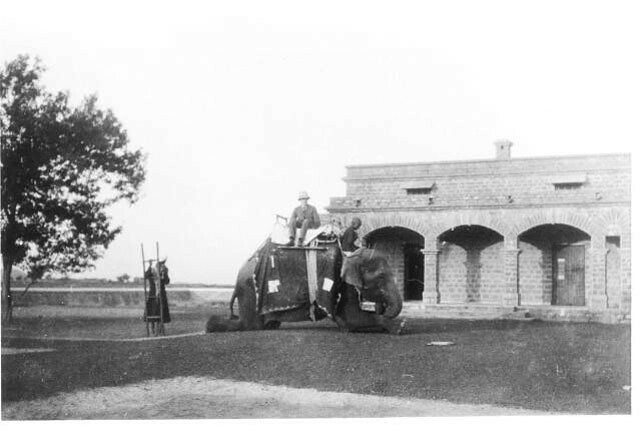 Picture taken in 1909, picture copied from the Gertrude Bell Archive. Church #1 of "The Thousand and One Churches"
- Public Domain image c/o Wikimedia Commons, from The Oxford handbook of Byzantine studies Von Elizabeth Jeffreys,John F. Haldon,Robin Cormack (Copyright expired). 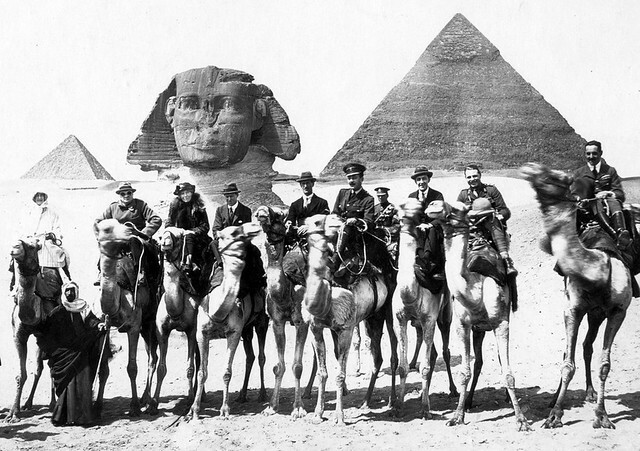 - Public Domain image c/o Wikimedia Commons, from the Gertrude Bell's Archive. 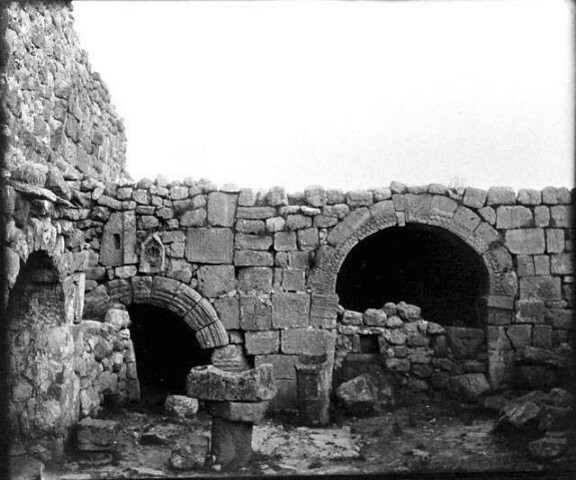 Assur, photoed by Gertrude Bell, in April 1909. - Public Domain image c/o Wikimedia Commons, from the Gertrude Bell Archive, Newcastle University. - See the original painting at the Tate Modern, London. Ancient city portal of Tehran - Compounds of the Foreign Ministry of Iran. Building seen at the end of the way is the old building of the Foreign Ministry from the Qajar era. The new building is seen to the right. - Photo by Mr.minoque licensed under the Creative Commons Attribution-Share Alike 2.5 Generic license.